It cannot be simpler - just email the PDF score to yourself. Once you open the email, the score will show up as in-line attachment. Tap and hold on the score image and you should be presented with a sharing pop-up. 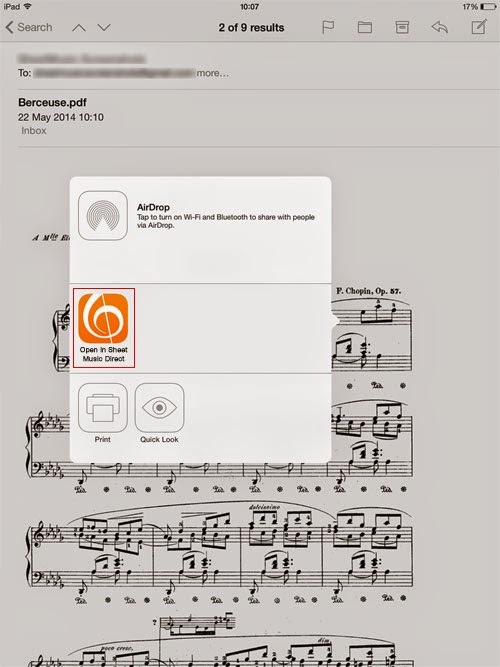 From there, tap on "Open in Sheet Music Direct" and your score will be imported into your Sheet Music Drect Library on your iPad. Don't have the app yet? Download it now.